Articles include contextual backlinks with your exact keyword as the anchor! Submission in TOP world wide web 2.0 sites such as: wordpress, tumblr, blog.com, ... etc. Web 2.0 blogs (Shared accounts) Web 2.0 blogs (Shared accounts) 3.5 stars, based on 8 reviews $0.14 5 November! SEOeStore In stock! Order now! GTR is expanding the horizon by providing services from social media to now introducing a SEO, Search Engine Optimization.Our new website is to help you save money and time by automatically eliminating the third party. This gives you more time to put efforts to your own ideas and gain the independence you deserve. 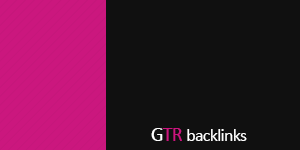 Copyright © 2018 GTR BACKLINKS. All Rights Reserved.